Welcome to Blis Linked Bingo. The most exciting game of Linked Bingo on the High Street. 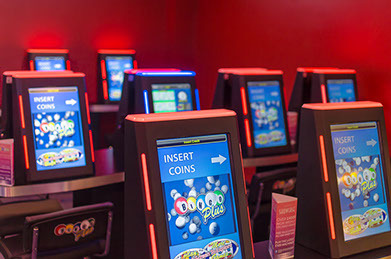 Blis Linked Bingo allows smaller venues to offer a complete Linked Bingo experience including 80 Number, 90 Number and the new 75 Number games. 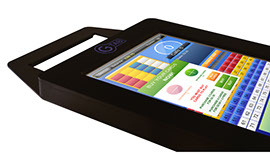 Unlike alternative Linked Bingo systems, Blis Linked Bingo brings a live game of Bingo into your venue as opposed to pre-recorded calls and lottery ticket style games. Another great advantage is the there isn't a minimum player limit per club. All clubs can join in every session and allow players to drop in in-between games. You even have the freedom to swap callers during a session which allows clubs to carry on the Linked Bingo game beyond the standard finish times. Players around the UK are enjoying much higher Bingo prizes on Blis Linked Bingo in contrast to the smaller prizes being offered at venues restricted to in-house games. By offering guaranteed games from Monday to Saturday, venues can benefit from a steady stream of Bingo Players, whilst the players themselves enjoy being able to play as much as they like even if they are the only ones playing. Customers can choose which games they would like to participate in on-demand. This means they can dictate what to spend their money on and also offers the ability to up-spend through the purchasing console. By being able to up-spend players can increase their chances of winning! Participating venues don't need to be a calling club. Because everything during the game is controlled by the calling club, many prefer to act as a satellite club. Being a satellite club allows venues to let their players play Bingo without the need for a member of staff to supervise. 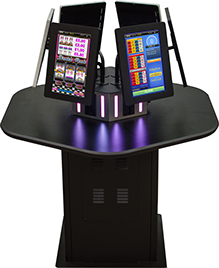 Every Wexel Gaming product has been designed with Blis Linked Bingo in mind, offering an unrivalled product range to suit any requirement. 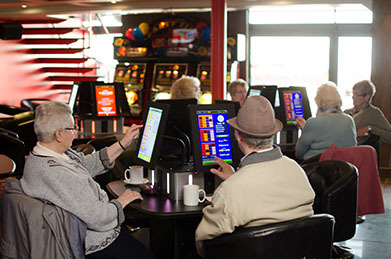 Locations such as High Street Adult Gaming Centres, Casinos, Bingo Halls, Pubs, Clubs, Hotels, Holiday Parks and many more can all benefit from the higher prizes offered by Blis Linked Bingo.